This best selling daily devotional has led millions of readers into a deeper and more satisfying relationship with God, by conveying the simple yet profound truth of his immeasurable love for us. May His love reach your heart, not just your head. A. J. Russell was a London newspaper editor in the early twentieth century. He is best-known for editing the devotional God Calling, and also wrote books such as For Sinners Only. 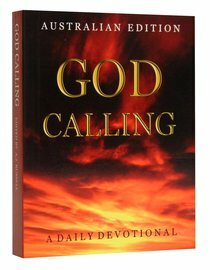 Customer Reviews For "God Calling"
This little book has been an awesome blessing to me over many years. The daily readings are so often just what I need on any given day. I thoroughly recommend it to everyone. I pray you are as blessed by this book as I have been.